* A powerful collection of nuggets that pack a spiritual punch! Leading you into a deeper awareness of God's presence, Murphey's memorable aphorisms startle you out of common spiritual reflections and lead you on an uncommon path of daily self-discovery and Christ-centered insights. Aportable guide for take-anywhere inspiration! 224 pages, softcover from Baker. Bestselling author Cecil Murphey (90 Minutes in Heaven) has enraptured countless readers with his lyrical style and deft storytelling, selling millions of books and winning numerous awards. Yet behind the scenes of his successful career, Murphey is on a personal quest for a deeper knowledge of God and himself. Out of this thirst for the transcendent comes Knowing God, Knowing Myself, a collection of reflective statements captured with Murphey's inimitable style. These aphorisms are often surprising, meant to startle the reader out of "common wisdom" into uncommon meditation; the goal is God- and self-discovery. Whether readers begin with a desire to know God or to know themselves, Knowing God, Knowing Myself will invite them to discover how these two longings are inextricably entwined. 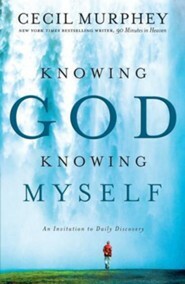 As they reflect and journal through this unforgettable book, readers will experience a growing awareness of God's presence and a deepened inner life. 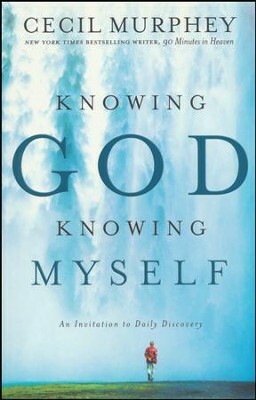 I'm the author/artist and I want to review Knowing God, Knowing Myself: An Invitation to Daily Discovery.